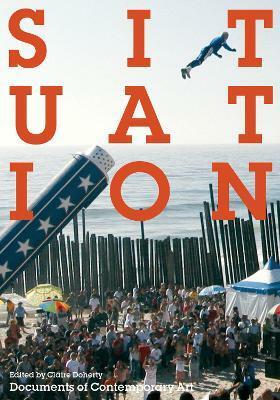 Situation--a unique set of conditions produced in both space and time and ranging across material, social, political, and economic relations--has become a key concept in twenty-first-century art. Rooted in artistic practices of the 1960s and 1970s, the idea of situation has evolved and transcended these in the current context of globalization. This anthology offers key writings on areas of art practice and theory related to situation, including notions of the site specific, the artist as ethnographer or fieldworker, the relation between action and public space, the meaning of place and locality, and the crucial role of the curator in recent situation specific art. In North America and Europe, the site-specific is often viewed in terms of resistance to art's commoditization, while elsewhere situation-specific practices have defied institutions of authority. The contributors discuss these recent tendencies in the context of proliferating international biennial exhibitions, curatorial place-bound projects, and strategies by which artists increasingly unsettle the definition and legitimation of situation-based art.Artists surveyed include [from Ian 1/30]Vito Acconci, Allora & Calzadilla, Francis Alys, Carl Andre, Artist Placement Group, Michael Asher, Amy Balkin, Ursula Biemann, Bik Van der Pol, Daniel Buren, Victor Burgin, Janet Cardiff, Center for Land Use Interpretation, Adam Chodzko, Collective Actions, Tacita Dean, Elmgreen & Dragset, Andrea Fraser, Hamish Fulton, Dan Graham, Liam Gillick, Renee Green, Group Material, Douglas Huebler, Bethan Huws, Pierre Huyghe, Robert Irwin, Emily Jacir, Ilya Kabakov, Leopold Kessler, Julius Koller, Langlands & Bell, Ligna, Richard Long, Gordon Matta-Clark, Graeme Miller, Jonathan Monk, Robert Morris, Gabriel Orozco, Walid Ra'ad, Raqs Media Collective, Paul Rooney, Martha Rosler, Allen Ruppersberg, Richard Serra, Situationist International, Tony Smith, Robert Smithson, Vivan Sundaram, Rirkrit Tiravanija, Lawrence Weiner, Rachel Whiteread, Krzysztof Wodiczko, Qiu Zhijie Writers include Arjun Appaduri, Marc Auge, Wim Beeren, Josephine Berry Slater, Daniel Birnbaum, Ava Bromberg, Susan Buck-Morss, Michel de Certeau, Douglas Crimp, Gilles Deleuze, T.
Claire Doherty is Senior Research Fellow in Fine Art at the University of West England, Bristol, where she established Situations (www.situations.org.uk), a research and international commissioning program. She is Visiting Lecturer in Curating at the Royal College of Art, London, and Curatorial Director of the One Day Sculpture series, New Zealand. She is the editor of Contemporary Art: From Studio to Situation.